need a snack? how about some octopus balls. no, for real. they’re delicious. 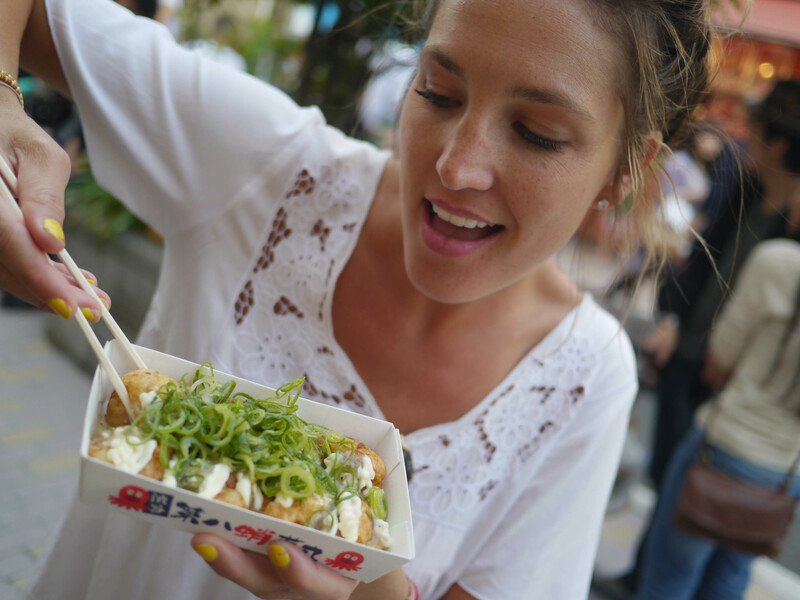 takoyaki is a signature street food snack in japan (read more here on wiki). 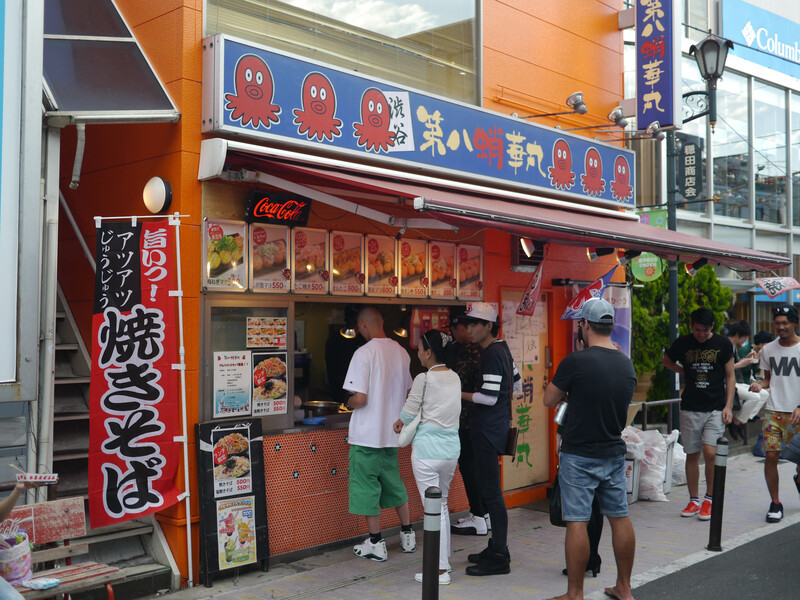 a few friends told us that takoyaki was a must try, but each time we’d walk by a stand danny said he wasn’t hungry or interested. then, the lightbulb went off and i realized my husband was leery of them because he was thought they were octopus testicles. once i explained to him they were fried, breaded and shaped like balls – we hit the next stand. “yeah, i was wondering how many octopus it’d take to get that many balls,” said danny. and then we naturally started to ponder and discuss whether or not male octopus have gender specific parts. lost your appetite? okay, back to the snack: because almost nothing in japan is in english, we really didn’t know what we were ordering and decided #1 was a good choice. it was a stick of fried octopus with some sort of delicious mayonnaise based cream sauce and chopped green onions slathered all over the top. all washed down with two asahi beers since it’s legal to drink in the streets in japan although you’ll rarely see anyone doing it – except tourists. danny loved takoyaki. 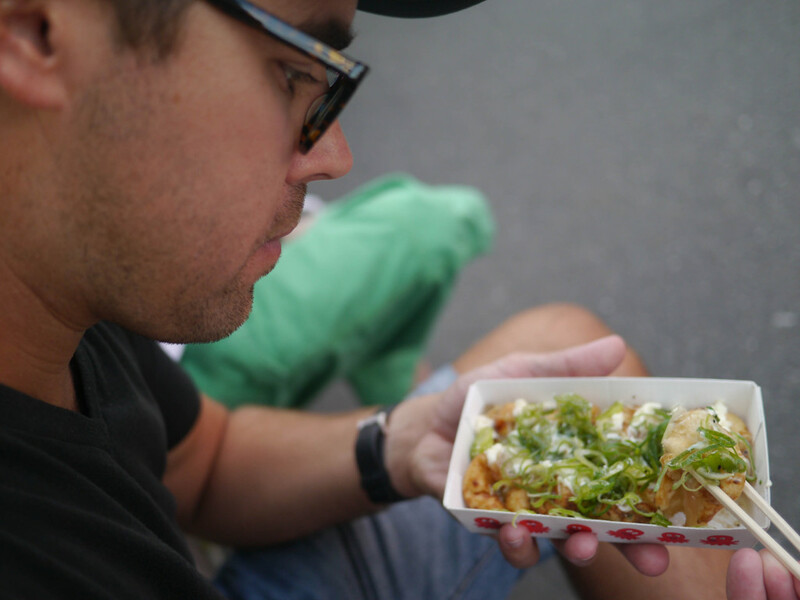 i liked takoyaki. 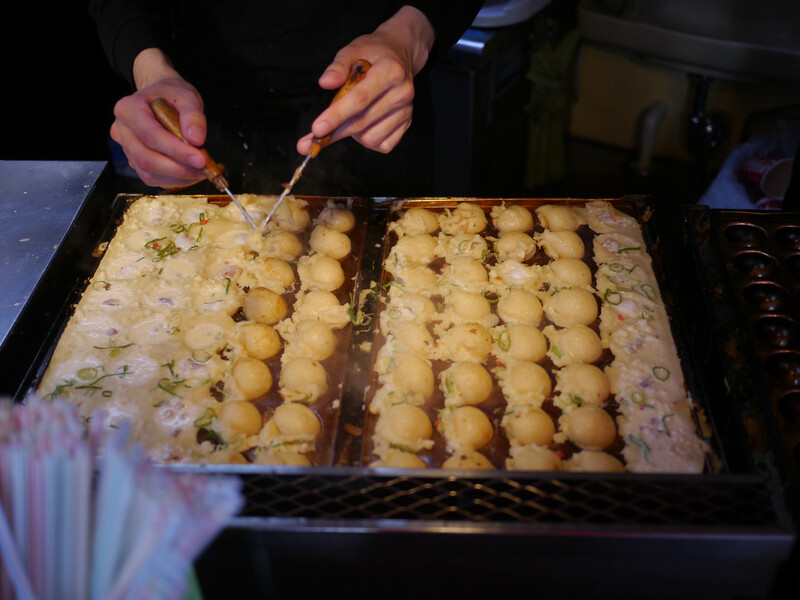 it’s a very intense process to cook the takoyaki that includes two sticks and lots of poking & turning. 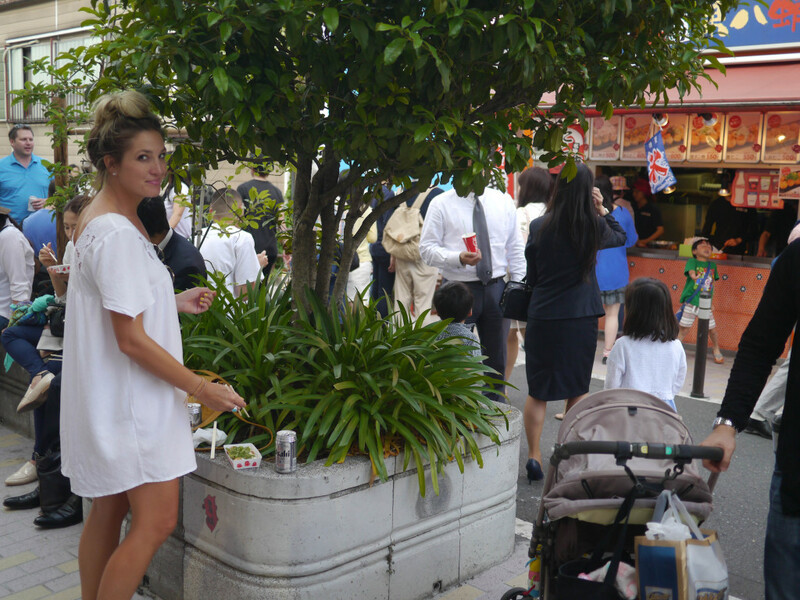 check out the crowd around the takoyaki stand. i’m telling ya, this stuff is the snack in japan. daily ramen… from a vending machine.